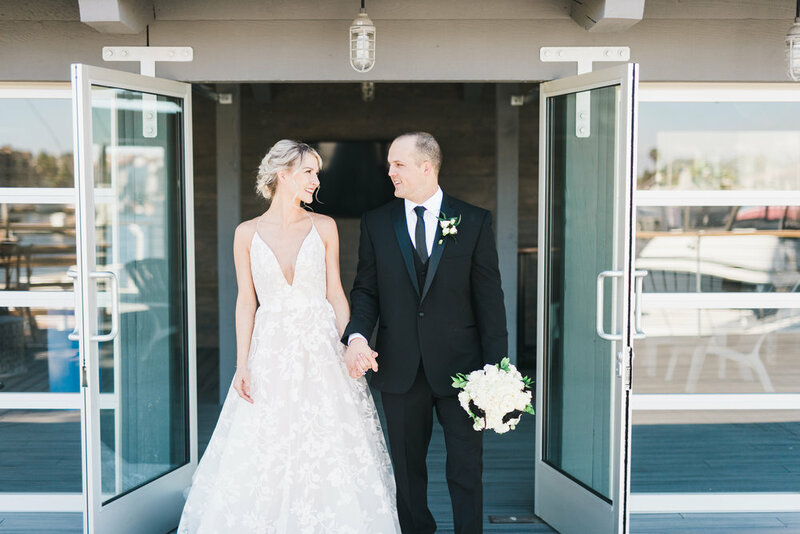 On the glorious day of September 15, 2018 at the Ocean Institute located in the beautiful harbor of Dana Point, Sara and Mathew became Mr. and Mrs. Stewart. 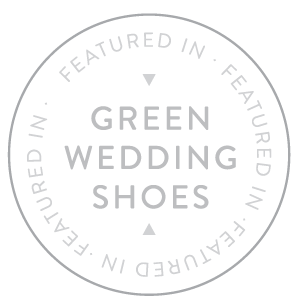 There ceremony was nothing short of sweet and funny with personal humor by their officiant and friend Neil Rotter with the addition of their precious Roxi ( cutest pitbull ever). 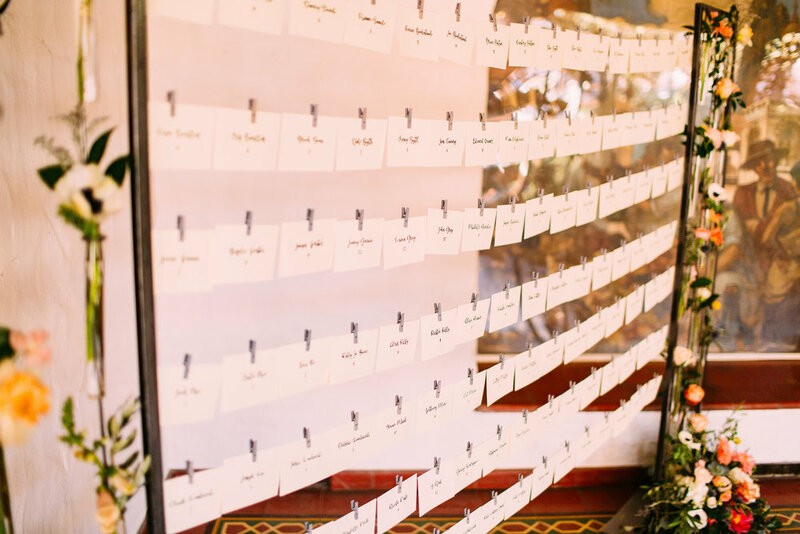 The ceremony had some intimate aspects tied in with Mathew coming from a Jewish family, such as the signing of a Ketubah and of course the traditional breaking of the glass! 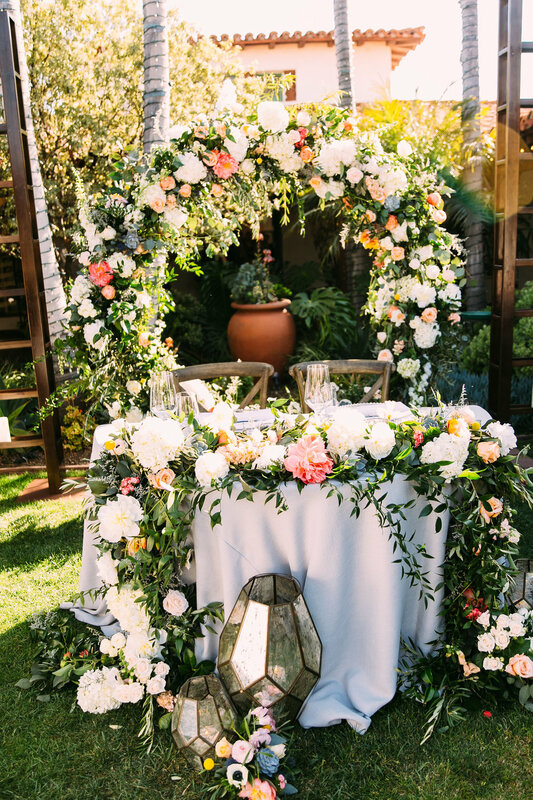 The birch chuppah they were wedded under was lovely and eye catching with the beautiful florals done by Bonnie Peterson with The Tangled Vine and tied perfectly into their oceanside wedding. The reception area was fun and romantic all together with their photobooth provided by Happy Cow with a cardboard appearance by Justin Timberlake that Sara provided of course. Who doesn’t love Justin?! It was a total hit with the guests! 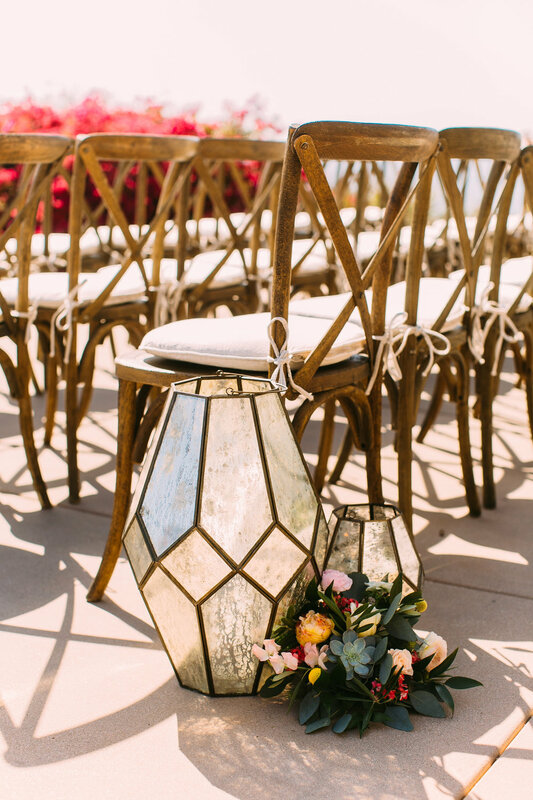 Their center pieces tied into the ocean location with a candle lit lantern with pretty blue and clear glass pieces inside. Once grand entrance, which was grand! Was through tables were excused to head to the delicious taco/Mexican food buffet provided by Canyon Catering that was enjoyed by all. Now the band was exceptional! The Kalama Brothers definitely know how to get people out of their seats and on the dance floor! Such a fun element having a band that can play all types of music that keep the night rolling. While everyone was on the dance floor another fun tradition took place with the bride and groom being lifted in chairs by their friends and family. I would have been holding on for my life! But they were having a blast with everyone! The night was ended with dancing and people making sure to get their shots with Justin and the real celebrities Sara and Mathew Stewart! 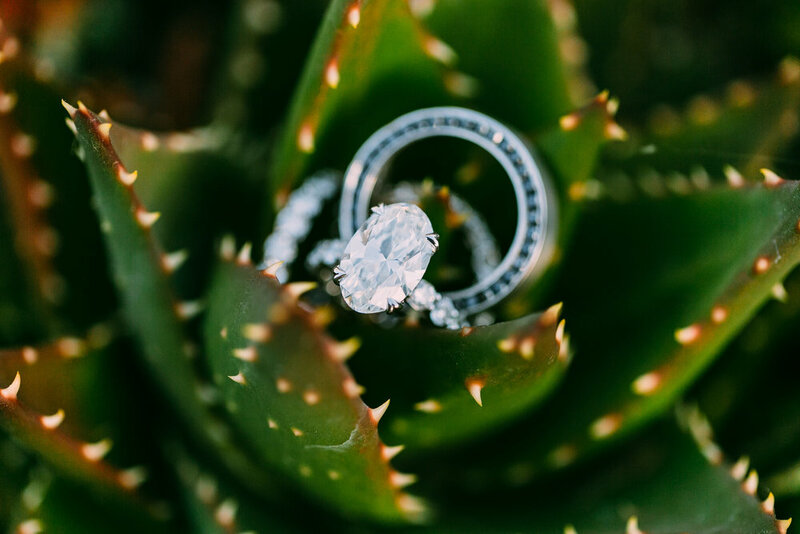 It is so fun when couples are able to incorporate special memories into their special day. 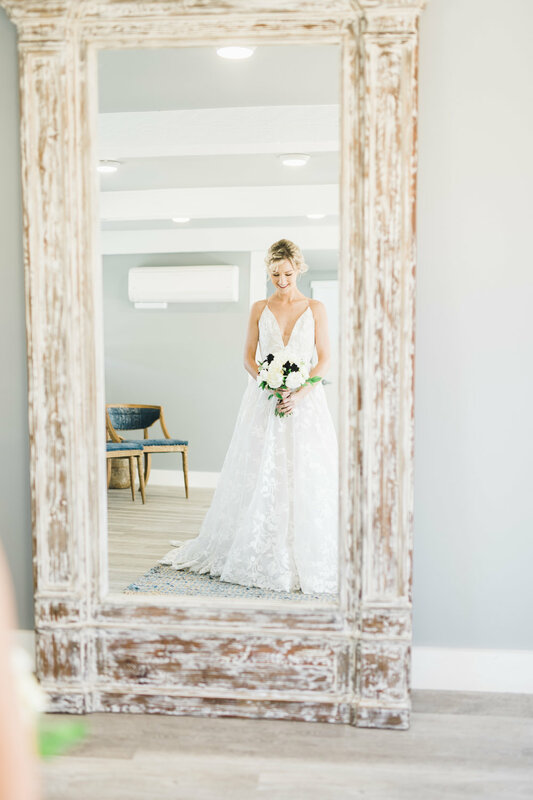 Maddie & Chris had a wedding day overflowing with precious memories. 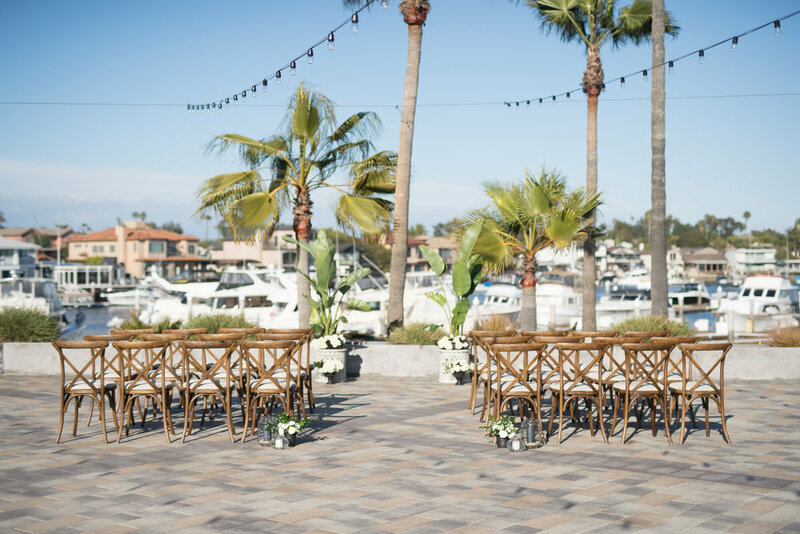 Starting with their gorgeous venue at the Ocean Institute, where the groom used to work for years, to a surprise appearance from his alma mater, the USC marching band during the reception. 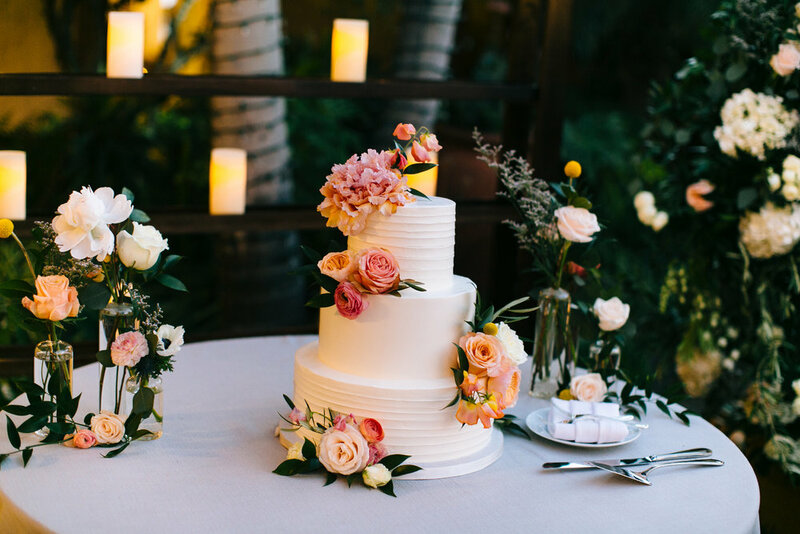 These fun memories weren’t the only sweet part of the day, the couple also had a decadent dessert table complete with homemade treats, candy, and a charming cake from It’s All About the Cake. Epic 1’s DJ Todd helped guests create new memories out on the dance floor. 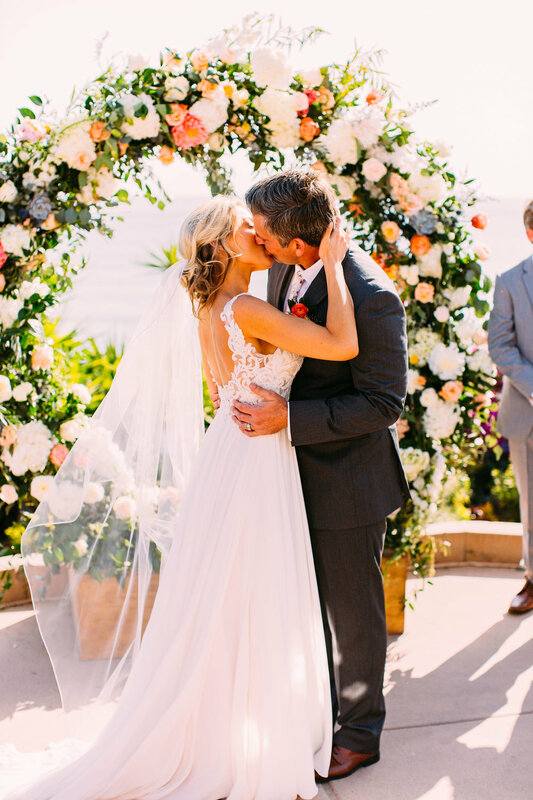 What an unforgettable wedding!! 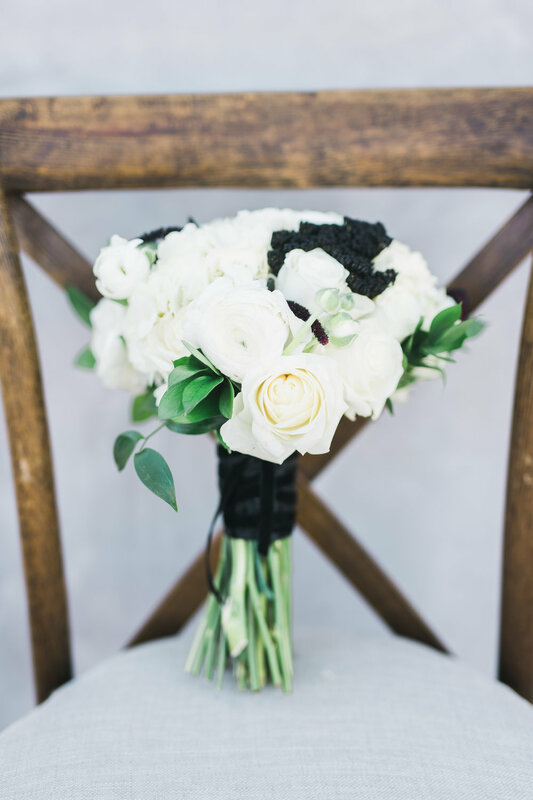 We are wishing all the best to Maddie & Chris as they continue their story together as husband and wife. 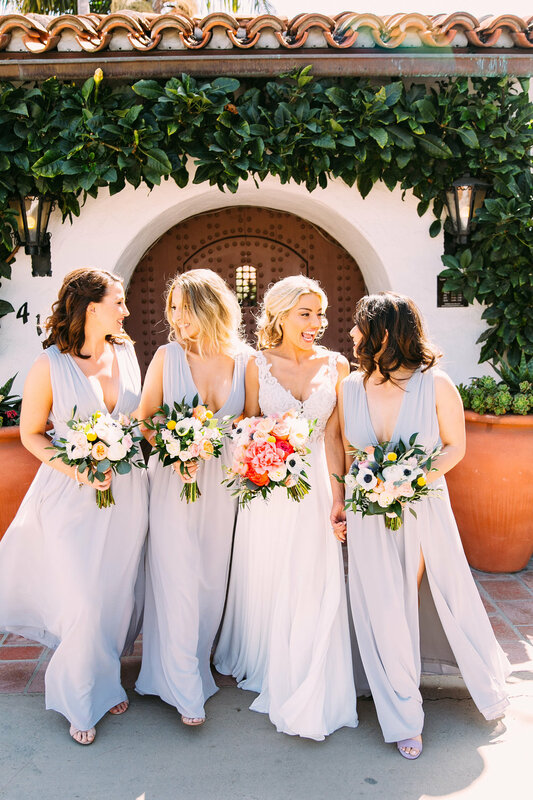 So many beach wedding in California range from relaxed, to tropical or boho. 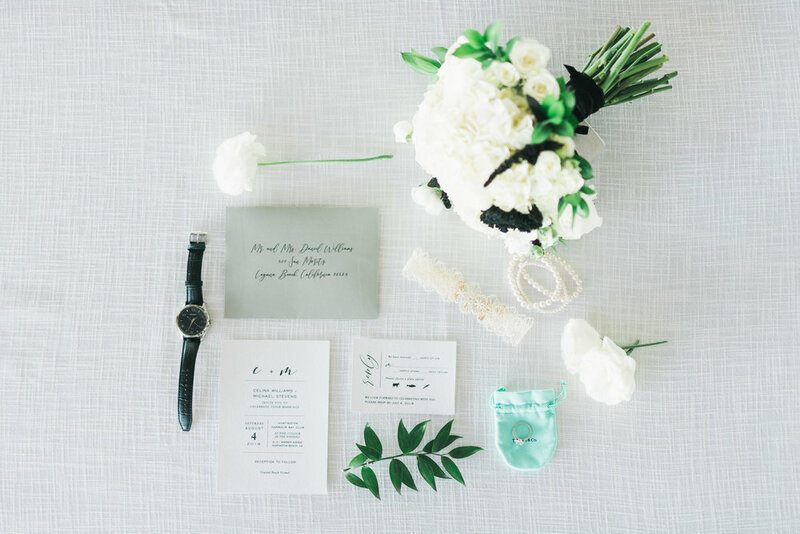 We wanted to show off the finer things with a black tie inspired ocean front wedding. 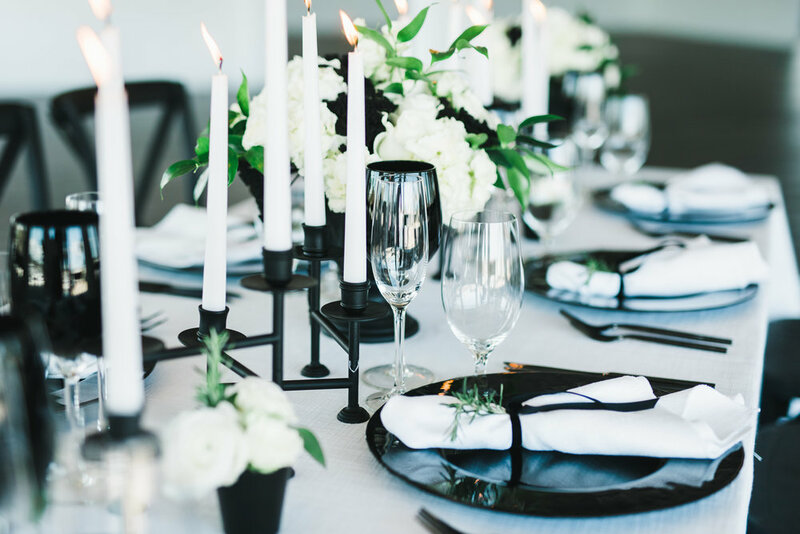 With the couple snuggling up on one of the yachts next to the barefoot bar or event an all black in white NYC inspired table, it was decadence to a tee. All completed with the geode and gold flake painted cake. 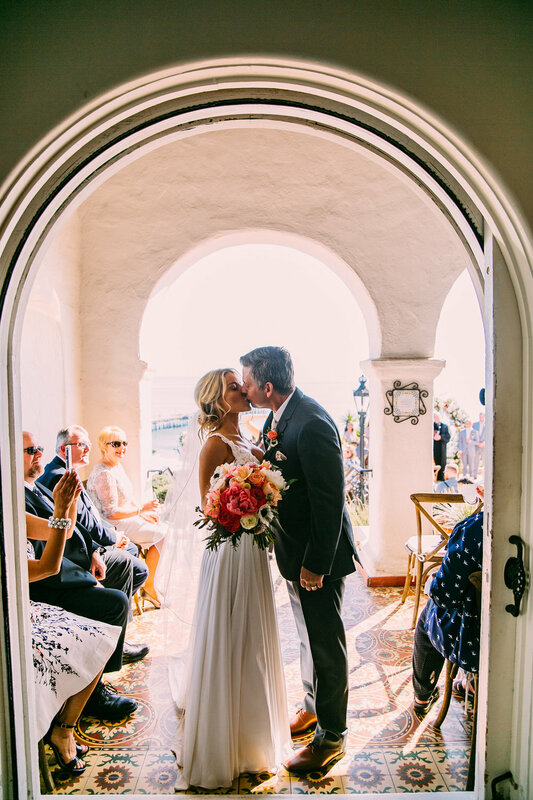 On May 15, 2018 in the sunny beach city of San Clemente at the gorgeous historic location of Casa Romantica, Kim and Charlie became husband and wife. 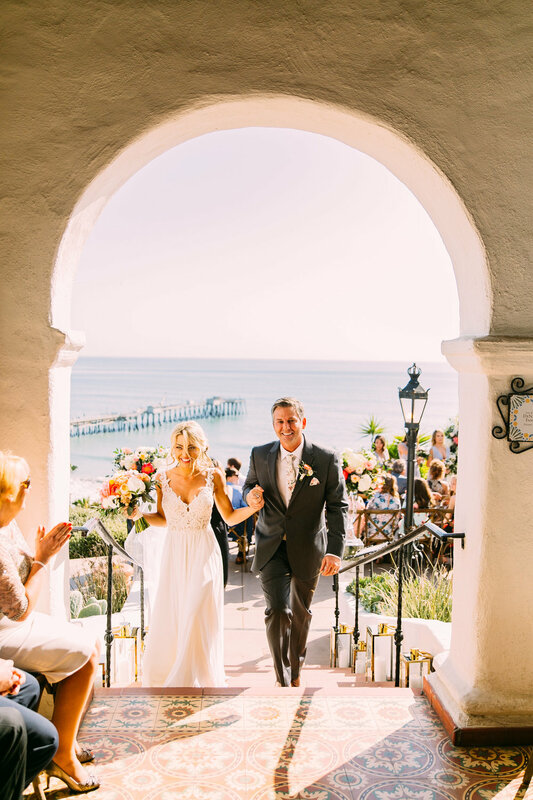 Their ceremony was absolutely stunning with their beautiful eye catching floral moon gate created by The Bloom of Time with colors consisting of white, pink, peach and pops of yellow complimented the amazing backdrop of San Clemente pier and the crystal blue ocean. 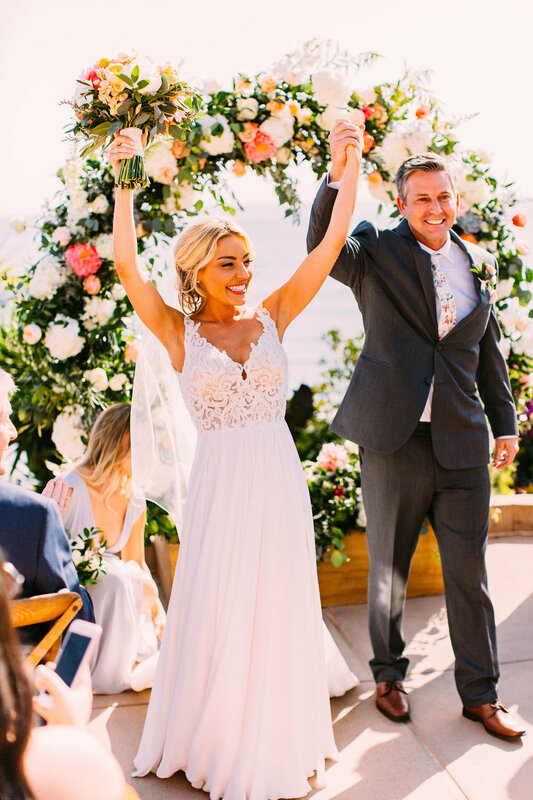 To add to the amazing scenery, the pastor from Great Officiants brought smiles and laughter to all, that only added more perfection to this memorable moment. 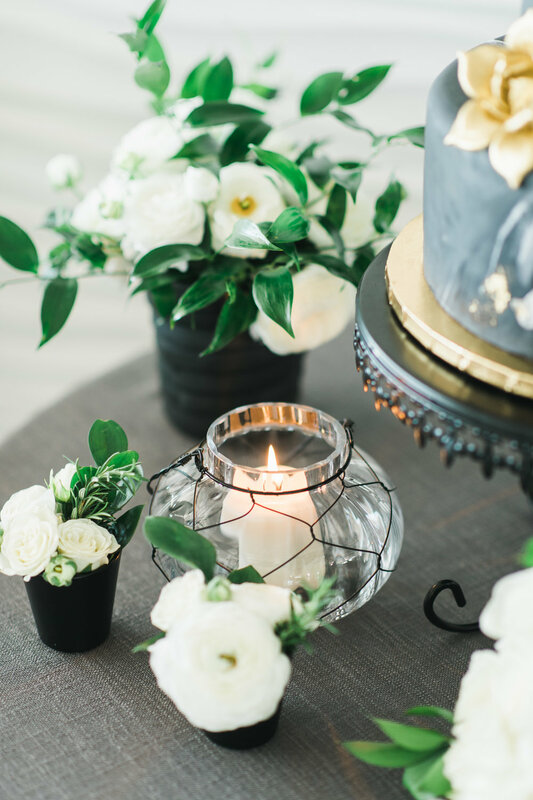 The reception area was magical all around from their floral pieces and beautiful steam wear to their enchanting sweetheart table. With the moon gate transferred behind the sweetheart table it was definitely hard to keep your eyes off them! 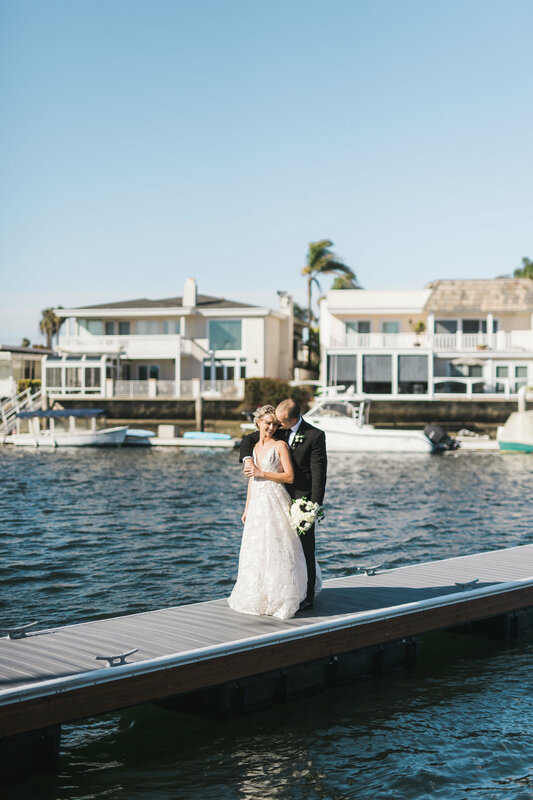 As Kim and Charlie made their grand entrance everyone was filled with excitement for their first dance, as they performed a choreographed dance that wowed all their family and friends. After all this excitement which more was to come, I’m sure everyone was ready to eat. 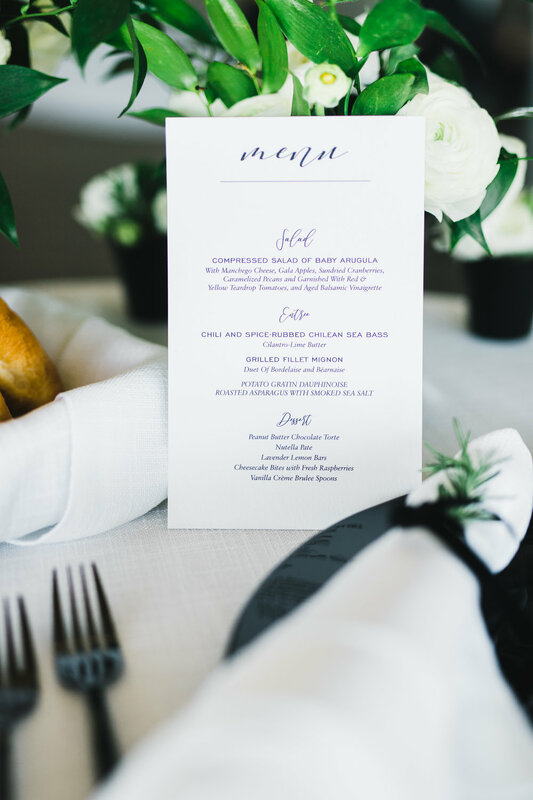 Who doesn’t look forward to the food when you go to wedding? And Kim and Charlie definitely did it right with a buffest style dinner provided by 24 Carrots. The buffest was a hit with plenty of options for everyone from choices of salad being a simple green salad or heirloom tomato salad. Don’t like roasted garlic and herb marinated beef tri-tip? (how could you not) That’s okay! They had roasted sea bass and Mediterranean-style chicken breast with a side being caramelized brussel sprouts. Yum! The reception continued with speeches by Andy the best man and the sister Jess the maid of honor which they were not shy to bring up little things here and there to embarrass them both which is always fun for everyone! 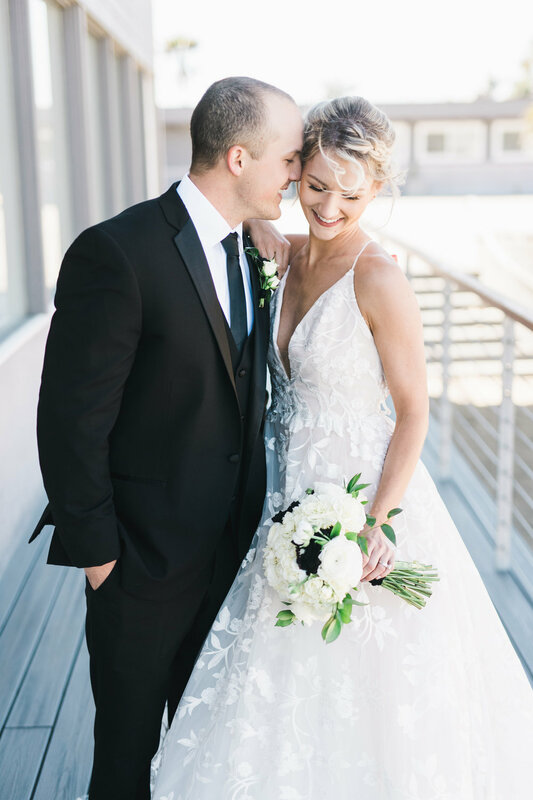 An additional element of entertainment was the slow motion photobooth provided by Slo-Mo Photo Booth that created a fun interacting activity for the guest that they got to keep as a memorabilia for this wonderful day! The night was followed by the dancing!! Everyone was having a blast dancing the night away with the newly weds to the upbeat music provided by Kevin Miso Entertainment. The grand exit was the last piece to this unforgettable day. 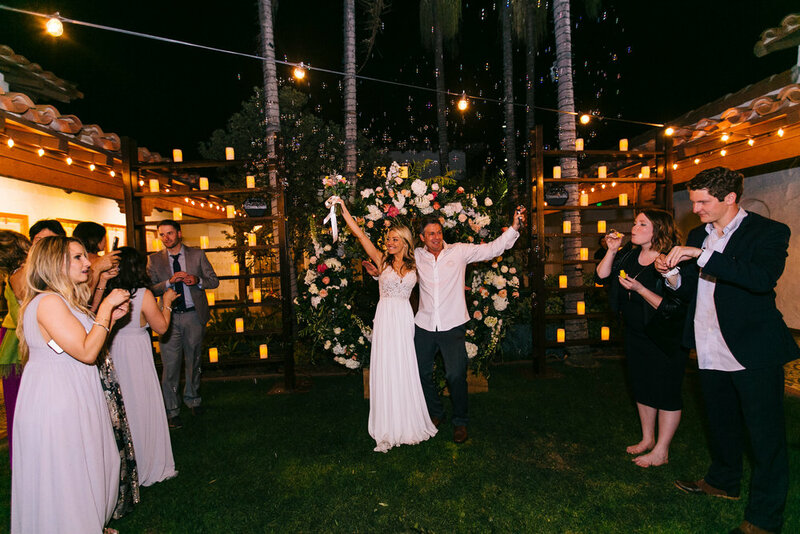 They made their way through all their loved ones surrounded by bubbles leading up to Charlie picking up Kim and tossing her over his shoulder and carrying her off into their uber as they finish their first night just the two of them as Mr. and Mrs. Nicholson.